In 2013, the School of Chemistry will celebrate the 300th anniversary of the first chair in Chemistry at the University of Edinburgh. As part of these celebrations the School has introduced the Tercentenary International Scholarships Scheme. The Tercentenary International Masters Scholarships Scheme helps outstanding postgraduate taught masters students from outside the United Kingdom and European Community to study in the School of Chemistry by providing for some of the costs of their training. A maximum of three scholarships worth £3,000 each will be available in session 2013-2014. The awards will be used towards tuition fees and will be tenable for one academic session. These awards cannot be held concurrently with fully-funded scholarships. They can, however, be combined with other partial funding. 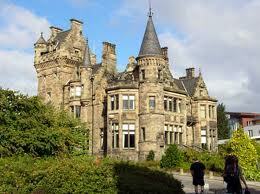 Applicants should apply online through EUCLID for admission to the University of Edinburgh by 1 April 2013. Applicants must also notify the School of Chemistry by emailing sarah.f.mcneil@ed.ac.uk of their intention to apply for a Tercentenary International Masters Scholarship, also by 1 April 2013. In this email, applicants should give full details of their EUCLID application and state why they would be excellent candidates for the scholarships in no more than 250 words. Applicants must also indicate how they will fund the difference between the value of the award and the actual annual cost of studying and living at the University of Edinburgh. The School Scholarships Allocation Committee will meet in April 2013 to select the studentship holders. The winners will be announced thereafter. Demikian kami sampaikan tentang Chemistry Tercentenary International Masters Scholarships, University of Edinburgh, UK semoga informasi tentang Chemistry Tercentenary International Masters Scholarships, University of Edinburgh, UK ini bermanfaat.